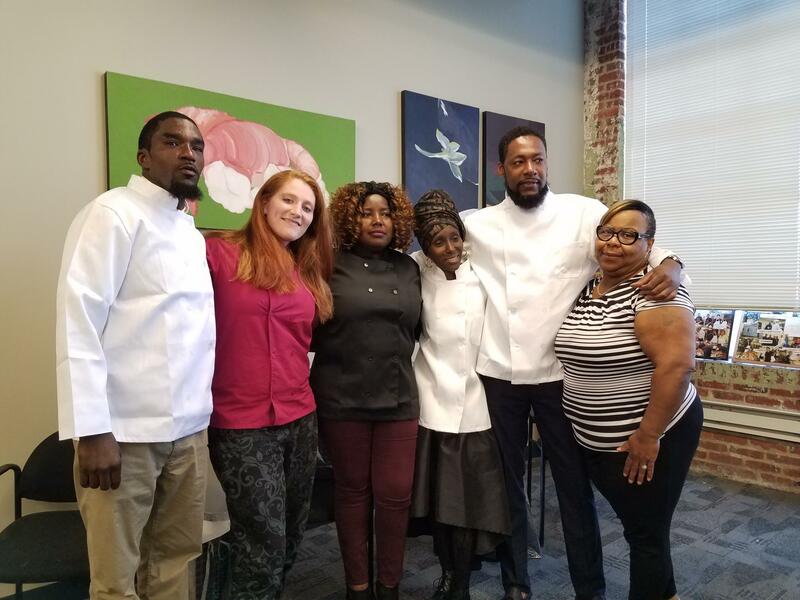 Moveable Feast’s culinary training program is an intense, 12-week course designed to provide the motivated individual with the tools necessary to gain and retain employment in a growing industry. Not only does the program focus on developing culinary skills, but also on gaining an understanding of the daily workings of a full service kitchen and the importance of each player’s role within the operation. Our culinary training program is available at no cost to applicants who meet our program requirements (including being 18 or older, having a GED or high school diploma, and being able to demonstrate being at least 3 months sober and free of drugs or alcohol). Please complete the form below if you are interested in enrolling in the program. The Culinary Training Program here at Moveable Feast is recognized by the American Culinary Federation Education Foundation as a Quality Program. Students are approved to receive ACF continuing education hours toward initial or re-certification from the ACF. The course will begin by instilling vital food and kitchen safety habits. Each student is required to pass an industry accredited food safety exam and become a certified safe food handler in order to advance. We teach fundamental cooking methods and techniques as well as essential kitchen terminology, sound knife skills, baking/pastry technique, menu planning and an introduction to nutritional concepts serve to round out the culinary training program. We also offer internships to provide our students with real on-the-job food services experiences. Successful employment requires more than just good kitchen skills. We teach our students basic life skills in addition to the skills of the trade. Our curriculum includes how to prepare for and succeed in an interview, appropriate work place behavior, and the benefits of being a team player. Through a balance of food service techniques, and hands on lab time, each graduate of the course will possess a solid foundation on which to build a career in the food service industry. In addition to actual kitchen instruction, students will have ample opportunities for classroom discussion and role-playing to help them refine their skills.